Who are the top UK & Global WAN providers? Who are the top/best UK & Global WAN providers to suit your business? Written by Robert Sturt, Techtarget writer, BT WAN specialist that has helped multiple businesses by Global & UK SD WAN, MPLS, VPLS and Ethernet. When people ask who the best WAN provider, it’s easy for us to suggest our own partner agency with BT Business. We're proud to be one of BT's top agency Premier Partners and honoured to have been named BT's partner of the year for 2017, and while we'd love to speak with you about your UK or Global requirements, we recognise that we're not right for everyone. The WAN providers market place is rich with large telcos through to smaller niche operators. With vendors marketing SD WAN capability across MPLS, VPLS and Internet capability, the choice is becoming ever wider. From simple pricing through to full Global WAN, Cloud and Security, our team is proud to be part of a telecoms community where communications are becoming ever more feature rich; A sector where devices in our pocket are connected to speeds which could only be imagined only a decade ago. BT Global and UK Business offer numerous wires only and managed services together with extensive global coverage within international locations. Their reach includes UK, Europe, Asia and North / South America. The key to your success with BT is knowing and understanding which of their managed services products is a good fit for your business. As an example, the product associated with their larger customers (Fiat, Pepsi, etc.) are not necessarily a good fit when meeting the demands of the smaller business. With operations in over 200 countries, Orange has, again, significant global footprint. Stats include 30,000 employees in 166 countries. The origination of Orange Business Services began back in 2006 when several entities (including France Telecom) were consolidated into the company as we know it today. Coverage is similar to BT Global in the sense of regions; these include Europe, Middle East and Africa, Asia Pac (Singapore and India), Australia, North and South America, Latin America and Russia. Level 3 is growing by acquisition, highlighted by their recent buy out from Century Link. A deal valued at around $25 billion US. I have personal experience working for Level 3 some years before writing this article. At their core, their network meets some specific reach requirements due to their consolidation of the legacy Global Crossing network and their transatlantic cables including 300 Gbps of capacity on the Apollo cable system. Reach is typical of Global providers and includes North America, Latin America, Europe, and selected cities in Asia. Reported by Wikipedia, AT&T is currently the 12th largest company in the world (outside of oil). We struggled to find good data on AT&T outside of their traditional services and mobile. Regarding services for UK-headquartered companies, Network Union do not often find a company buying from AT&T directly from the UK. Clearly, their capability is Global, and therefore they do make our list as a viable provider of services. Interoute is an interesting company from the perspective of their acquisitive growth, rapidly occurring over recent years. Network Union has an indirect partnership with Interoute for one of our UK customers so are able to speak from direct experience. The client originally started their service as a customer of MDNX. They were transferred to Easynet and are now a customer of Interoute. While there have definitely been challenges along the way, there are some core competencies within their business, specifically low-cost UK connectivity and Global reach. Their reach is particularly strong in Europe as they're the largest privately owned European cloud operator. are a significant global player from the perspective of WAN connectivity. Their stats state 800,000 route network miles reaching more than 2,700 cities in more than 150 countries suggest they are a formidable force. * Check their coverage is real rather than by NNI. However, we note (from experience), the average Verizon Business customer is of significant size meaning you may wish to consider whether your organisation is a good fit. Reach surrounds Europe, Asia, Middle East and Africa, Latin America and North America. Headquartered in London, Vodafone operate in Asia, Africa and Europe. Using partner networks, they’re able to reach 76 countries and regions. The Vodafone network services group owns majority holdings in 15 regional locations including the UK. Interestingly, Vodafone has a specific division for large Global Enterprise business, expertise includes cloud, collaboration and IT services. COLT currently provide failover services to one of our major BT indirect clients. With a name suggesting they are focussed on London, you would expect their coverage of the London area to be strong. London aside, they have offices in 22 European countries including the US and India. Worth knowing is their strong focus on data centre connectivity with 580 global data centres resulting in the largest cloud footprint in Europe. The DC sites have connectivity to 200+ countries across Europe and Asia. It would be remiss of me not to mention our own route into BT. Essentially, the same direct products and services apply (as per UK and Global Services), but the indirect Partner (us) become your technical account managers. There are no disadvantages to this approach as such; BT own the contract, billing and support. We bring together the enormous logistical capability of BT with a unique technical account management process that only a smaller company would be able to provide. We currently manage several £million of contract value under our BT Partnership agreement. The workflow for provider procurement sounds vast. If you consider everything from application performance through to high availability, adds, moves / changes, Ethernet delivery, security and migration, you gain an understanding why some companies just keep plodding on with their existing supplier. However, we know that continuation of a service which is not working does not make too much sense. Of course, being able to find a perfect provider is most certainly a futile task as there will always be aspects of prospective telco / carrier / VNO which do not fit 100%. However, if you know and clearly understand where these weaknesses exist, you are able to either work around them or adapt your approach. As an example, you mind find a provider which takes time to make Ethernet circuit bandwidth tier upgrades. This fact may either be a show stopper of something which you are able to work with depending on the detail. To put things into perspective, in order for your business to maintain an edge in the market place, company data must be available in a timely fashion with minimal IT issues. Where problems occur with networks, which they inevitably will, they must be resolved professionally and efficiently. 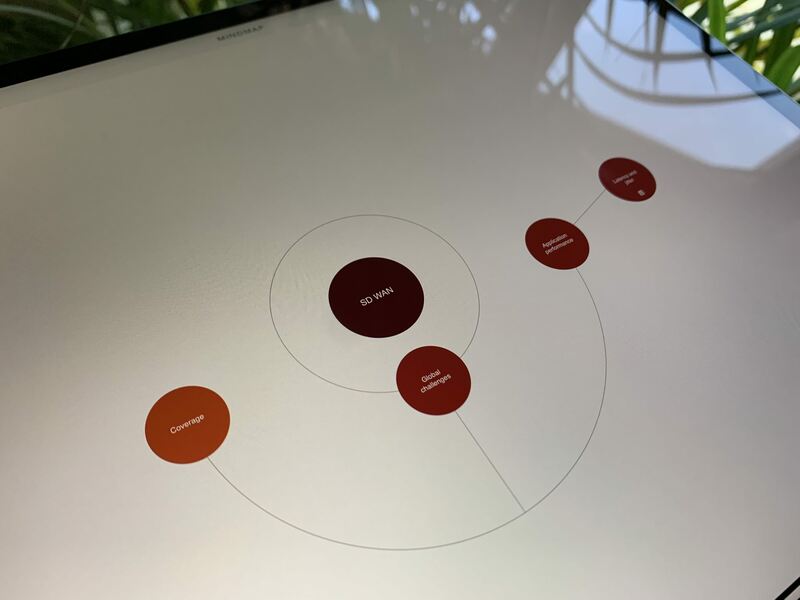 In order to assist IT and procurement teams with VPN provider selection, our step by step Mindmap distills all of our knowledge and data into an ‘at a glance’ document. Avoid the typical WAN providers pitfalls, issues and problems faced by the majority of Enterprise and Medium sized organisations when procuring managed / wires only data networks. Align the specifics of your strategy, applications, data continuity and process to the WAN service provider solutions market place. The impact of engaging with WAN providers which do not operate a repeatable process to understand your business is often felt for years with poor application performance and even downtime presenting continuous risk. The Mindmap is designed to help you follow along as you move through the data networks procurement process. A visual guide to SD WAN. All of the key features of SD WAN defined. How to understand each core area across application flow and security. The process to follow including delivery and setting budgets. The key vendors and their unique selling points listed. Above. Award winning IT Managers visual guide to WAN procurement. Strategy is the direct link between your business specifics and your connectivity services provider. The subject of enterprise strategy often conjures up thoughts of huge amounts of work but in reality, and as far as managed or unmanaged WAN services procurement is concerned, strategy is about defining the key areas which make your business successful. We see this time and time again, the businesses which are successful within their particular niche really understand their go-to-market strategy, with management of the right areas which result in customer retention. When we think about strategy, we consider your business and the impact of particular WAN network areas. As an example, key sites where your Enterprise delivers services or data to customers must have a solution which contains no single point of failure. Or, often, there is a particular application which must perform well - the performance is key to customer satisfaction. WAN Services Cloud - The WAN is essentially a cloud based service, always has been. The cloud as a term appears to represent a technology which is a must have attribute to any network. With this said, readers should note that cloud services are available in many different forms including both creating your own private infrastructure vs productised public cloud offerings. Any service (managed or otherwise) or application which is located off site (i.e. cloud products) will require the right connectivity vs expected performance. In this sense, the WAN (whether accessed via remote access of a 100Mbps / 1Gbps office site) needs to offer up a clear performance and service level. Clearly, having well performing applications is great from a business perspective. A major part of your applications performance is uptime. We recently wrote an article on BT RA02 (Resilient Access) local loop tail circuit diversity where we described some of the aspects of achieving solutions with no single point of failure. We are pleased with all areas of the mindmap but particularly within the resilience and diversity section. Here, you’re able to easily see the pitfalls and the questions you need to ask WAN network suppliers to ‘really’ ensure there are no single points of failure within your access capability. Cisco HSRP or VRRP (open standard) will allow you to create and support no single point of failure hardware solutions. In addition, application performance is further enhanced by router Quality of Service (QoS) to ensure mission critical delay sensitive traffic is predictable and serviced correctly across your prospective UK or Global WAN service providers solution. With many organisations, there will always be a future project in the wings. We see this with various departments when they consider new initiatives or the business as a whole might on an acquisition trail. You may believe this area to be part of strategy but our belief is that these aspects need to take a section of their own. The situation you need to avoid is one where you put in place a solution or services which are not fit for purpose because the enterprise launches a new initiative or procures another entity. One of the major disappointments enterprise clients experience relates to poor management of documentation and due diligence throughout their contract. We worked with a client recently where their network had not been configured correctly from day 1 with a serious knock on effect to their business and support. Applications performed very badly and nobody from the UK or Global WAN service provider had a good understanding of configuration. In many respects, a lack of monitoring information was a little responsible - the client was effectively in the dark and unable to manage their Global or UK WAN and applications on a day to day basis. In order to avoid this situation, the provider must demonstrate how they maintain documentation and also where the documentation is stored to avoid versioning problems. The mindmap will provide details on the areas we recommend you consider. Throughout contract, due diligence with documentation is important. Just as a repeatable process if required for WAN supplier selection, a workflow is also required to maintain good practice covering such areas as trend reporting and SLA breaches. The mindmap provides a focus on the key areas of available service levels including the usual suspects from latency, jitter through to uptime, support and packet loss. Within each of the service areas, we point you to pitfalls and where the service provider marketing may miss out some of the key points. The VPN SLA is a good indication of the providers performance, not only from the perspective of ongoing performance but also delivery aspects of the service including adds, moves and changes. Perhaps one of the biggest areas of weakness surrounds slow and painful managed services adds, moves and changes. Some providers are more agile than others in respect of changes but we find that the process is often improved if the client has a clear understanding of the workflow from raising a change through to placing an order for change and delivery. Some changes will be fast, others will take time. Again, which of these aspects that will impact your business will be understood when the specifics of your organisation are aligned with the managed UK or Global WAN service providers you are considering. On the delivery side, the SLA will apply to lead times. There are certainly aspects to consider here which are going to be critical to your project including the actual process to take you from a design through to ordering, acceptance, and circuit delivery milestones. On top of this, you will also want to be thinking about migration and how you will take your existing network from one WAN provider to another. Essentially, topology, site contacts, IP addressing and more. Clearly, where connectivity is required quickly, 3G, 4G and ADSL circuits should be available with a fast lead time. An aspect of ongoing support surrounds service management resource. A service manager will work to consider support issues and ongoing tasks as you move through contract. Whether or not this type of management is included depends on your provider. Some carriers and telcos require significant costs to provide resource. Setting expectations with regards to delivery timescales is critical. Whilst the generally accepted lead time for Ethernet services in the UK is 90 working days, circuits are often installed quicker or.. sometimes go outside of the 90 days. With this said, if you understand where the potential for delay exists and ensure you have ticked all of the right boxes and options for correct delivery of your circuit, you will be able to forewarn the business. A critical aspect where management of MPLS and VPLS solutions is concerned. Obtaining a good deal requires knowledge of process. 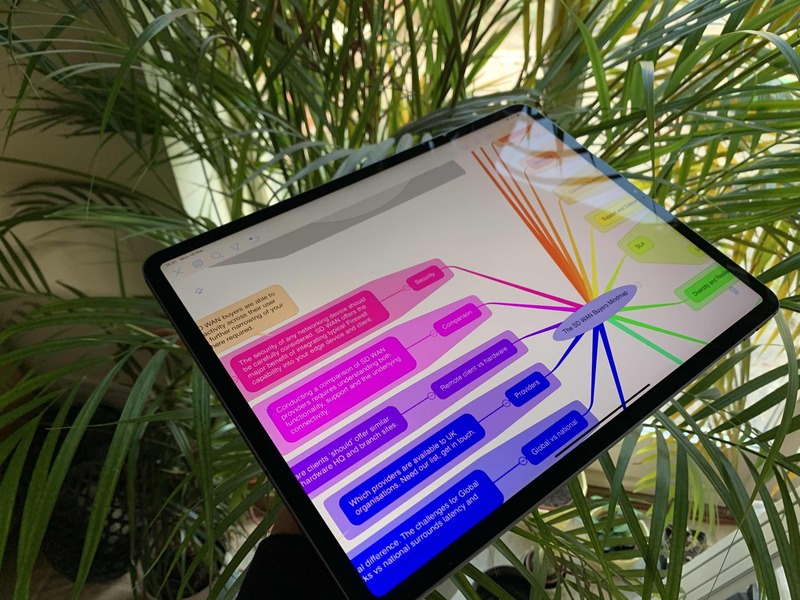 In addition to our knowledge of account managing BT Global and UK WAN managed Network services pricing workflows, the mindmap does a good job of bringing other areas to your attention which make a commercial difference. An example of which is creating your statement of requirements. All WAN service providers will prefer to work on a well qualified set of requirements - presenting your needs in this way has a dramatic effect on how they approach the commercials of your solution. If, for example, you present a list of sites on a spreadsheet, the provider will not take your requirements seriously and will forward out standard pricing. A WAN service providers buying decision needs to be made on tangible requirements from local tail circuit design through to budget. Some WAN providers will make use of multiple access tail circuits via Ethernet aggregation back into there core network. The alternative is using a service provider which only makes use of single tail circuit operator such as Open Reach. There may or may not be cost savings associated with the aggregation method of delivery but careful attention should be paid to the fact that delivery, support and management of multiple tail circuits is often problematic. We have written extensively on the various technologies which exist in the market place from layer 3 to layer 2, Internet IPSec and so on. At the risk of repeating content, todays network is normally a mix of all of these technologies, essentially a hybrid network. Typical connectivity is based around Ethernet, Broadband / ADSL, Mobile 3G / 4G and Ethernet First Mile. Selecting Global WAN Providers vs UK WAN providers is subtly different. We have two Mindmap versions available. Our creator will ask which version is applicable to your organisation. How we are positioned to design, propose and price your next WAN? The Network Union are a collection of technical account managers with a specialism in BT Global and UK managed WAN products. As Authorised Partners of BT, we operate as an agency meaning we add no fees or margins. Our clients contract directly with BT with our overlay of support. Essentially, the best of both worlds. Above. The next version of our SD WAN Mindmap. One of the biggest challenges within any business is ensuring investments made in complex IT services are fit for purpose, produce a good return on investment and act as a business enabler rather than a business bottleneck. The beginning of our process is designed to understand your existing network with the intent of establishing a reason for supplier change by breaking down solution components into strengths and weaknesses. We combine the technical aspects with an understanding of commercials, business strategy and the process framework which exists at the heart of what makes your organsation successful. Our strategy to creating the best possible proposal outcome. Understanding enterprise applications is the basis of productivity for both internal users and customers engaging with your services in various forms. The way in which applications rely on the WAN network connectivity varies but the key aspects cover latency, jitter, uptime and packet loss. The latest BT managed WAN includes QoS (Quality of Service) to provide confidence in the performance attributes. More than this, any errors, issues or performance problems can be immediately flagged within the portal. Of course BT is not always a good fit for a variety of reasons. Where this is the case, Network Union involve a number of partners to deliver connectivity outside of our BT relationship. If you would like our note and list, please get in touch. We discuss some aspects of procuring private WAN services. And which technologies are available. A comprehensive overview of SD WAN from an IT Managers perspective. How to create an SD WAN providers list? An article on creating a list of SD WAN providers, what aspects should you consider?